In the United States, nearly 35,000-40,000 serious injuries are caused by table saws each year—many of them on construction sites. Some common table saw injuries include bone fractures, severe lacerations, and finger amputations. 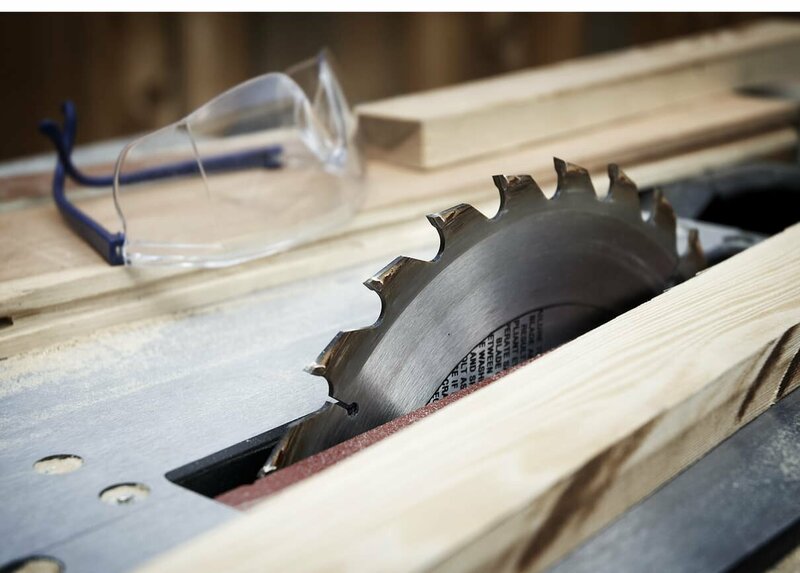 In this post, St. Louis work related injury lawyer will discuss table saw accidents and injuries in detail. Construction sites are among the most dangerous workplaces in the US. Each year, over 10 percent of the construction workers suffer injuries that result in considerable lost time from work or permanent disability. Power tools are one of the main causes of injuries among construction workers—the most dangerous of them being the table saw. Table saws are designed for use on a level ground and with a proper safety guard covering the blade. The problem is that in many construction sites the ground is rarely even, and to make matters worse, the table saws are often operated without the safety guard in place. The most common cause of table saw injuries is when the wood kicks back at the worker. The sudden movement can cause the operator’s hand to jolt towards the table saw causing a severe cut, laceration, or even amputation of the fingers or hands. There is a safety technology called SawStop available that makes the saw blade stop instantly as soon as skin contact is detected. The technology is readily available, but only a few manufacturers choose to implement it. The Consumer Product Safety Commission (CPSC) has also recommended that table saw manufacturers include SawStop technology in their products. According to CPSC, the cost of table saw injuries is nearly $2 billion each year. The manufacturers face hundreds of lawsuits, many of which claim that SawStop technology could have prevented the injuries. In 2010, $1.5 million was awarded to a man who suffered finger amputation on a table saw that lacked safety protection. Table saw injuries occur more commonly than we think, and are often severe and life altering. Severe lacerations can leave the person scarred and disfigured for the lifetime, and may require a long recovery period. Amputations are possibly the worst outcome of table saw accidents as they can leave the person disabled for the lifetime and the person may no longer be able to work. If you have suffered a table saw injury in the workplace, you may be entitled to workers compensation benefits that will cover medical expenses, part of wage loss, rehabilitation and other direct costs associated with injury. However, if the injury is a result of a product defect, you may be able to file a third-party claim and seek additional damages. It is in your best interest to seek legal advice from a competent and experienced St. Louis injured at work lawyer.